tommee tippee is probably one of the most well-known baby brands across the globe. We have been lucky enough to work with them on a number of products in the past; Royal Baby range, Explora Animal Antics cup and their Best of British range. 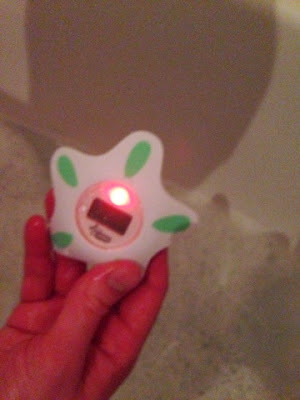 E has now moved into the big bath so I was excited to have the opportunity to try tommee tippee's bath and room thermometer. 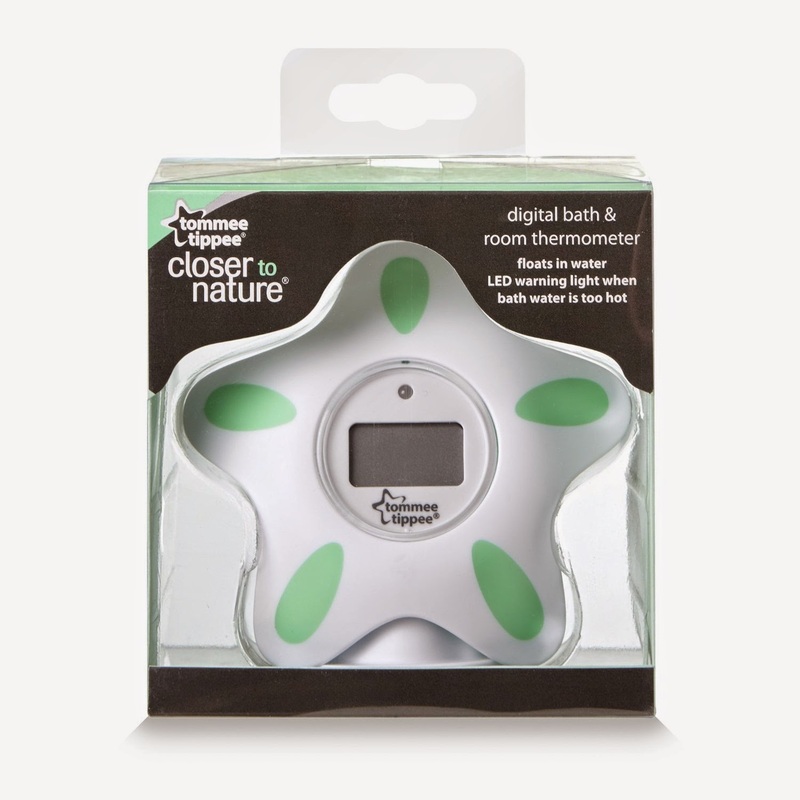 The thermometer itself is in tommee tippee's iconic star-shape so it matches their range of nursery and bedroom decor. It comes with a little stand for you to use it as a room thermometer too. This is a little flimsy and niggly to get it to sit on but it does the job. In order to turn the thermometer on, you need to tap it on a hard surface and the temperature is displayed within seconds. I did test this out with our old thermometer and it reads the same so I have no arguments that it works correctly. 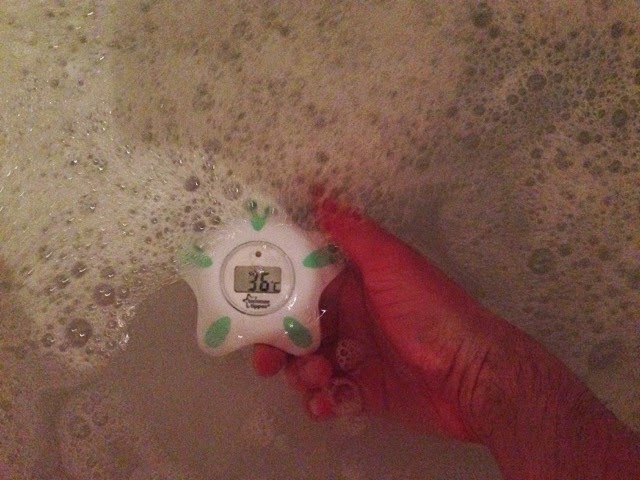 For use in the bath, it floats so you are able to see it (unless you put a mound of bubbles in like me!) and the handy LED flashes red when the water is too hot for your baby (at 39°C), putting your mind at ease. The star-shape makes it kid-friendly too. C always wants to play with it when he's in the bath. As you can see from my photos, I use Celsius but it is possible to switch the mode to Fahrenheit if you would prefer that. It's a great size and do like the fact that it doesn't give a constant reading when in "room mode" as I do always worry about batteries running out easily. The tommee tippee Bath and Room Thermometer retails at £17.99 and you can purchase it here. You can find out more about tomme tippee on their website or follow them on Facebook and Twitter.